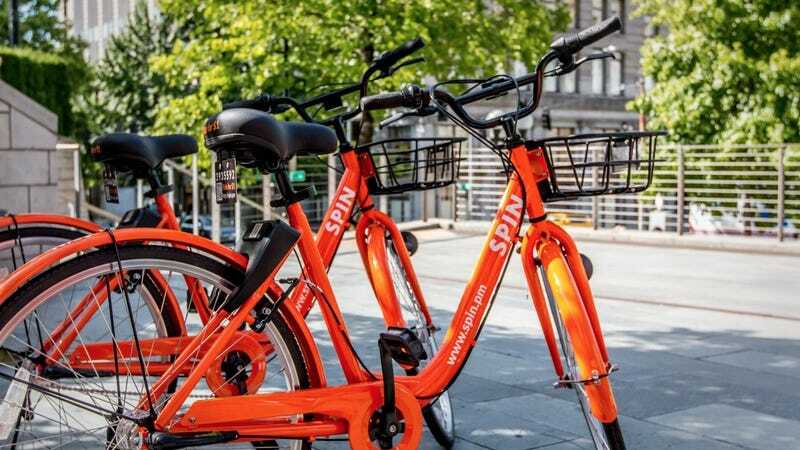 Residents in Washington D.C.’s swanky Georgetown neighborhood are so fed up with the area’s new dockless bikeshare programs that they’ve taken to calling 911 over people who’re simply seen using the bikes. In September, D.C.’s transportation department started issuing permits to dockless bikeshare companies, and as of this month, there’s five operating in the area. Early on, complaints were levied about bikes being abandoned or parked in inappropriate spots, but Georgetown residents took their disdain over the bikes to another level: at least one resident admitted to calling the cops on people for merely using them. That’s according to Martin Austermuhle, a reporter an NPR affiliate in D.C. On Tuesday, Austermuhle posted what he said was a remark from a Georgetown resident on a neighborhood listserv. If this sounds stupid and possibly confined to just a few knuckleheads spouting off on a neighborhood listserv, that doesn’t appear to be the case. After Austermuhle tweeted about the complaints, D.C. police felt compelled to respond and inform residents that it’d be much more helpful to not call police over people who are riding bicycles. We reached out to D.C. police to see if they had any additional comment, but, yeah, don’t snitch on people for riding a bike.